A sample of my VFX work. Made using Maya, After Effects, Boujou and several other tools (including Flash). My passion here is dynamics. I love organic movement. I am one of those strange people who was able to teach themselves Maya and ZBrush. It can be done, but it is not easy (admittedly, ZBrush was FAR easier to learn than Maya, but that's beside the point). That being said, if you are a student (or an employee or affiliate of an educational institution) and would like to learn about 3D modeling, animation and/or video compositing Autodesk has a GREAT deal going on right now: For $200, you can get a 14-month educational license of Maya 2009. But that's not all! Act now (actually, I think this deal will be around for a while, so don't impulsively blow money) and you will also receive: Mudbox (a 3D digital sculpting program that is awesome), Toxik (a node-based compositing program that is awesome), Motion Builder (a 3D character animation program that is awesome) and Cleaner XL (which comes with Autodesk everything, whether you want it or not)! If you weren't able to gather from this paragraph, this is awesome! Several months ago, it would have cost me more than $300 just to upgrade to Maya 2008. With the exception of Motion Builder, I have other software that will do much of what these other programs do. This deal, however, might be too good to pass up. Freakin' sweet laptop! It also means I need to find a home for my "old" one, which really isn't that old. They have comparable features, but the Alienware wins. When rendering side-by-side, the Slusho! laptop rendered every super complex 3D frame a full minute faster. That doesn't sound like a lot, but consider that one second is 24 of said frames and that a minute would be 1440... were talking a full day! Which I made with my new laptop. It's my first official demo reel, so I'm excited. Makes me feel "professional" for once...I have more catching up to do, but this will do for now. This is the first in a four-part series of films dedicated to legendary filmmaker and friend, Stan Brakhage. It is also dedicated to a group of filmmakers with whom I shared orbit around the massive scope of Brakhage's work. As such, I am a bit reluctant to post it online, where it will be seen at 1/100th of its intended size, with resampled sound and dropped frames. Still, I'm reaching out into the volgosphere! It will be traveling around the country soon, so perhaps it might inspire a few souls to go see it when it comes to town (more details as they become available). It is a 16mm sound film that imagines the icy hatched-marked world of Jupiter's moon, Europa. The soundtrack consists of recordings from several probes that visited the moon (specifically, the "sounds" are coming from the atmosphere of Jupiter), as well as whale songs- an imagining of the possible life beneath the icy surface. The imagery combines hand-painted liquid crystals and Super-8mm footage from a local aquarium (hooray for (now extinct) Kodachrome). Next up: "Snow Flukes" I'm going a little bit out of sequence, but this was the next video that I felt like publishing. This is "Snow Flukes." I happened upon this 16mm silhouette footage several years ago. I was told that the artist who drew the cartoons was Otto Messmer (Felix the Cat) and that the skater is Dorothy Hamill, but I'm not sure. All of my searching has turned up very little on this little film. I also feel that I should point out that Brad Bird neither directed nor wrote "Finding Nemo." That honor goes to Andrew Stanton. I got to "meet" both of these heroes of mine in L.A. last year when I drove out for the Screenwriter's Expo. "Ratatouille" is quite easily the best film of the year, so far. That's my humble opinion and that only includes films that I have seen, but I have seen a lot, so... take that! Incidentally, if you are wondering what the worst is, in my opinion, I would have to give that award to "The Number 23." 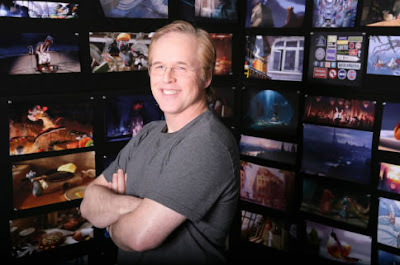 Brad Bird has a habit of directing films that I love (damn him). He directed "The Iron Giant," which I've seen about a million times, and "The Incredibles" (see previous comment). He also worked on "The Simpsons" and created "Family Dog." Does anyone remember seeing "Family Dog?" If you do (and have fond memories of doing so), we should get ice cream. I loved that show. I should start writing about films again. Ratatouille deserves more than just a blanket "it's awesome" review. Plus, I like coercing people into seeing movies that I love without resorting to "go rent 'The Iron Giant' or the bunny gets it!" Finally! I feel so neglectful of poor little Callisto. I got my firewire cable in the mail on Monday and re-rendered Callisto last night. 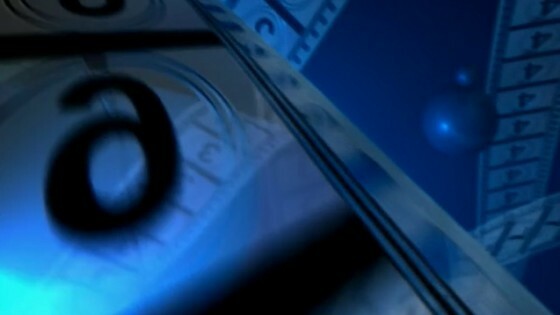 Callisto is the final film in The Galilean Satellites series. She is silent. This film was complete magic toward the end. I had not quite expected the results that I got, but I was awed by them. Callisto is also one of the most heavily cratered bodies in the solar system. Jupiter's gravity attracts comets, meteoroids, and other objects and Callisto, being far away and tectonically inactive, bears thousands of years worth of battle scars. She also has the lowest density of the Galilean Satellites and it is thought that there might be an ocean beneath her rocky crust. If Europa could be considered the "audience favorite" of my films, Ganymede would have to be her cute little brother. This is the third film in The Galilean Satellites series. It is quite a bit shorter than the previous two, but was easily the hardest of the series to make (easily the hardest- bad English, I know, but funny enough for me to leave it there). The imagery is both digital and film in origin. The opening sequence of photographs consists of digital images taken by the Galileo probe that visited Jupiter recently. The film imagery is clear 16mm film leader that has been scratched, pitted, twisted and bent to refract the polarized light. The soundtrack consists of radio signals received from the moon's ionosphere. Unlike the previous two films, however, I have not manipulated this sound in any way. In fact, you can hear Ganymede's voice on the Jet Propulsion Laboratory's page. This film tries to capture the essence of Ganymede, who, like his sisters, is pulled and pushed by the tidal forces of Jupiter and the other moons (sibling rivalry...even the planets and Greek deities suffer from it). This is the second film in The Galilean Satellites series. It is an artistic study of the wrenching and twisting of Jupiter's volcanic moon, Io. This film is quite a bit longer than the others. It is also what I feel to be the "scariest" film I've ever made. The soundtrack consists of stretched and manipulated radio emissions from Io's ionosphere, while the image consists of various objects that I'm twisting and pulling in polarized light. Io is constantly pulled and pushed upon by her sister moons and the immense gravity of Jupiter. This film probes into the beauty of turmoil. Io is the most volcanically active body in the solar system, and is actually the hottest body in the solar system, outside of the sun (which reminds me of that Groucho Marx quote: "Outside of a dog, a book is man's best friend. Inside of a dog, it's too dark to read"). Again, imagine this quite a bit bigger than it actually is. Much of my work is meant to be seen on a very large scale. I have wanted to project this particular film around an entire room as an installation.